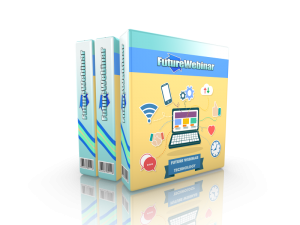 Today, I have a special product named Future Webinar. This is a special and revolutionary webinar technology that able to generate tons of cash. Future Webinar is using an autopilot technology that generates tons of cash into your pocket with or without your presence. No more time zone problem, and slow internet connection that might interrupt your webinar broadcast.